With Yi Yun causing quite an impressive stir, the Luo clan disciples present were paying a great deal of attention to what was happening on the seventh level. Some of them even ignored their cultivation. The Intermediary Spirit Blood Snake that suddenly appeared did not escape their eyes. Furthermore, the Intermediary Spirit Blood Snake had a special aura, so it was difficult not to notice it. The Intermediary Spirit Blood Snake was the most important opportunity of the Black Wind Valley trial. Who didn't want it? And now, they saw Yi Yun stand up. He was about to make his move on the Intermediary Spirit Blood Snake! "Yi Yun is trying to capture the Intermediary Spirit Blood Snake. Lord Cang Mang had intended to pose a difficult problem for Luo Tian, Gu Luo and Ran Yu, but now, Yi Yun alone might be able to capture the Intermediary Spirit Blood Snake." "I think it's almost in the bag. The most difficult obstacle was the black specter wyrm and it has already been torn apart and consumed by Yi Yun and the ancient Heaven Devouring Wyrm. Even the wyrm was eaten, so it shouldn't be difficult to eat a tiny snake, right!? I wonder what Ran Yu and company are thinking. It seems like it has nothing to do with them anymore&h.e.l.lip; "
The Luo clan disciples present discussed as some of them could not help but cast their gazes at Ran Yu. Naturally, Ran Yu also heard their conversations. His face went blue. The saying of accompanying the Crown Prince in studies — an outsider in a compet.i.tion with no possible hope of winning — was relevant to Ran Yu back in the Fire Cloud State. Back then, he was the ‘Crown Prince’, with people accompanying him in his studies. But when did it become his turn to accompany others in studies, making him have no possible hope of winning? The Mt. Azure Billow training was a torment for Ran Yu. At this moment, Yi Yun moved. Against the layers of black mist, and the Intermediary Spirit Blood Snake within it, a rugged and powerful dragon's roar came from Yi Yun’s chest. A single-horned wyrm rushed out from behind Yi Yun and it pounced straight at the Intermediary Spirit Blood Snake. Yi Yun had conjured the Heaven Devouring Wyrm phantom image once again! The Heaven Devouring Wyrm was an ancient mighty Fey. Its appearance and surging Ancient Fey aura were detected by the Intermediary Spirit Blood Snake. The Intermediary Spirit Blood Snake was a spirit of the seventh level of the Black Wind Valley. It sensed a threat, and with a sharp sound, it transformed into a stream of light, drilling deep into the black mist! The Intermediary Spirit Blood Snake was extremely fast. Although the Heaven Devouring Wyrm's bloodline was powerful, in terms of speed, it was inferior to the Intermediary Spirit Blood Snake. This was also mainly the reason why the Intermediary Spirit Blood Snake was so hard to deal with. It was located on the seventh level of Black Wind Valley, where danger lurked everywhere. With its astounding speed, trying to capture it was very, very difficult! A large black vortex appeared in its mouth as the surrounding black mist was sucked towards it! 90% of the Heaven Devouring Wyrm's engulfing law was afflicted on the Intermediary Spirit Blood Snake. Instantly, the Intermediary Spirit Blood Snake's speed was greatly reduced. The Intermediary Spirit Blood Snake issued a sharp shrill. It was so sharp that it was like an arrow had shot right into one's eardrums. Even the cultivators on the fourth and fifth levels of Black Wind Valley could not help but cover their ears when they heard it. However, regardless of how much the Intermediary Spirit Blood Snake hissed, it was unable to free itself from the suction of the Heaven Devouring Wyrm! The Ancient Heaven Devouring Wyrm was known to be able to devour an entire world. Its engulfing law was top amongst the Ancient Fey. Furthermore, with the difference in life's natural order, the Intermediary Spirit Blood Snake could not withstand it any longer! Not only could the Intermediary Spirit Blood Snake not fly deep into the black mist, it was bound by the Heaven Devouring Wyrm's engulfing powers. It was being pulled bit by bit to the Heaven Devouring Wyrm's mouth! When they saw this, the people were secretly horrified. They knew that the Intermediary Spirit Blood Snake was not easy to deal with. It had once penetrated Gu Luo's palm, and with its unparalleled speed, even without the black specter wyrm on the seventh level, it was still not easy to capture the Intermediary Spirit Blood Snake. The Heaven Devouring Wyrm lived up to its name. It was a true ancient mighty fey. Just its phantom image alone was already terrifying! The Intermediary Spirit Blood Snake hissed crazily as its body turned redder and redder, as though channels of blood began to emanate across the Intermediary Spirit Blood Snake's body. Yi Yun's mind was connected to the Heaven Devouring Wyrm. He suddenly sensed that the small Intermediary Spirit Blood Snake was undergoing some kind of change. Its body was slowly acc.u.mulating energy, and its red body seemed to emanate a special smell. And at this moment, a few black specter shadows seemed to be attracted by this smell and they began to approach the seventh level from the eighth level of Black Wind Valley. Upon seeing this, Yi Yun knitted his brows. The black specter shadows that came from the eighth to the seventh floor were most likely the weaker ones from the eighth level. In terms of strength, they were likely no match for the black specter wyrm that had dominated the seventh level alone. If this was any other time, they would have been fodder for the Heaven Devouring Wyrm. However, at this point, with changes in variable, it made Yi Yun's heart sink. He had to finish it as soon as possible! "Dragon Tail!" Yi Yun bellowed. The Heaven Devouring Wyrm let out a low growl as its body charged out suddenly, and its gigantic dragon tail swept downwards! Like the collapse of a mountain, the extremely heavy dragon tail slammed into the Intermediary Spirit Blood Snake's body. The snake obviously could not withstand such a strike. Its body quivered as some of its scales broke apart with blood spurting out of the wounds. As for the black specter shadows that came from the eighth level, they were stunned by the Heaven Devouring Wyrm's attack. They did not dare to attack momentarily. The ancient Heaven Devouring Wyrm was just too powerful. It was a true Ancient Fey after all. Its aura gave pressure from the difference in life's natural order to the black specters that were condensed from Black Wind Valley's lifeblood. From the looks of it, the Intermediary Spirit Blood Snake's final struggle had been ruthlessly crushed by the Heaven Devouring Wyrm. If this went on, the Intermediary Spirit Blood Snake was definitely Yi Yun's! The Luo clan disciples on the fourth and fifth levels were extremely jealous seeing this scene. As for Ran Yu, who was on the sixth level, he looked livid as a beam flashed in his eyes. Ran Yu knew very well that if this continued, all the benefits in Black Wind Valley would be Yi Yun's. Riches were obtained from taking risk. On the seventh level of Black Wind Valley, it appeared as though the Heaven Devouring Wyrm had brought the situation under control, but in fact, the Intermediary Spirit Blood Snake was still struggling incessantly. There were several black specter shadows from the eighth level watching on with covetous looks. A tip of the scales would decide the true winner! Upon thinking about this, a wicked look flashed in Ran Yu's eyes. He leaped down from the sixth level to the seventh level. People were surprised seeing the turn in events. Black Wind Valley's battle was a compet.i.tion of bloodline. Ran Yu's Ranyi Fish bloodline was much weaker than the ancient Heaven Devouring Wyrm. There was no way for him to intervene in the battle on the seventh level. Ran Yu was no match for even the weakest black specter shadows from the eighth level. "What's Ran Yu going down for? He can't beat those black specters, and he can't attack Yi Yun or he would violate the rules of the trial." Everyone stared with widened eyes, afraid of missing this scene. Ran Yu's sudden appearance opened up a new variable in what was a decided situation. 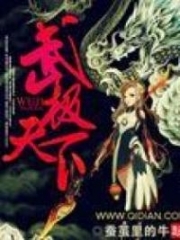 You're Read True Martial World Chapter 848 - Capturing the Intermediary Spirit Blood Snake online at NovelOnlineFull.com. You can use the follow function to bookmark your favorite novel ( Only for registered users ). If you find any errors ( can't read,broken links, can't load photos, etc.. ), Please let us know so we can fix it as soon as possible. And when you start a conversation or debate about a certain topic with other people, please do not offend them just because you don't like their opinions. Current Time is 21-Apr-2019 02:21:36 AM.